Posted December 13, 2013 Come on out and enjoy and be amazed at the "Mary Dunakey Annual Christmas Light Show Extravaganza" at the Dunakey Home! Mary spends hours and hours setting the Christmas light show to music and it is beautiful. I am about to relay to you a story that few outside my family have heard and one I didn’t even tell them until five years after it happened. Seventeen years ago, about this time of year, money was a little tight (wow I can’t believe it’s been seventeen years). So to help make ends meet, I took a second job. The main reason for taking the job was to save enough money to buy my daughter the “hot” toy of the season – a doll we’ll call Betsy Wetsy Poops Alot (not her real name). My daughter was four and getting a Betsy Wetsy Poops Alot doll was the most important thing in her life – important enough for her dad (me) to take a job as a Mall Santa. Let me tell you, if you ever want to lose your Christmas Spirit, become a Mall Santa. I spent five weeks, five insufferable weeks, five long tortuous weeks, in a mall, across from a toy store, getting kicked, poked, punched, pushed, screamed at and cried on. And that was just the parents! Time moved so slowly that I at times thought it had actually stopped -- I swear the second hand on Santa’s watch wouldn’t move for hours on end. Every time I thought I had had enough, I would look across the mall at the toy store, in the window was an ever shrinking pyramid of Betsy Wetsy Poops Alot dolls, and I would remind myself why I was doing this. Every time I got peed on or puked on, I would look in that window. Every time I got kicked, punched or bitten (yes bitten) I would look in that window. Every time I got my beard pulled (my beard, not a glued on one) I would look in that window. Every time a spoiled kid, already with more toys than most third world countries, told me they had to have the latest GI Joe & Barbie Dream House or they would just DIE -- while their mother talked on her cell phone and yelled at me because I was making her late for Yoga -- I would look in that window, at the ever shrinking pyramid of Betsy Wetsy Poops Alot dolls and remind myself why I was doing this. You cannot believe the elation I felt when I finally had enough money to buy that doll. I cashed my check over my lunch break (cashing a check while in a Santa suit is another adventure) and bought the doll – almost the last one in the store. Had it wrapped in beautiful metallic red and green paper – paid for extra ribbons and bows. I carefully put it in my work locker so as not to crush a single bow. I also resigned my position as Santa -- effective at the end of the day. My heart filled with the joy of being able to get my daughter the one thing she wanted for Christmas, I for that last afternoon really felt like Santa. I Ho Ho Hoed my heart out. I mean, I was on! I nailed the part! And for the first time in five weeks, I took notice of my surroundings. It was no longer just me, the toy store window, the shrinking pyramid of Betsy Wetsy Poops Alot dolls and an endless procession of crying, biting kids. It was like coming out of a fog. With my new found clarity one of the things I noticed, almost on a subconscious level, was two kids; a boy and a girl; a big brother and his little sister. He was no more than six. She was no more than five, probably four. It was really strange. For several hours they were always in my view, without ever really being in it. They were in line to see me, without really being in line – they seemed to be in line, but never got any closer. We never quite made eye contact, but yet… I’m not sure I can explain it any better than to say I could feel their presence. From what I could see (or feel) they were there alone; he was the big brother; he was responsible for her and he took his responsibility very seriously. Their clothes were clean, but worn. They also looked somewhat underdressed for a December day in Wisconsin. I tried to remember if I had seen them there before, I think I had. Once I started thinking about it I wondered if they had always been there. They might have been. Finally it was just them and me. No more line. They were still only a couple of feet closer than when there had been a line. I cleared my throat. The boy looks up. Eye contact at last, a brief moment, a fraction of a fraction of a second, but it was enough, almost too much. I couldn’t have handled more. I may have looked away first. He had eyes that didn’t belong in a six-year-old. Old eyes. Eyes that had seen too much. Eyes you would expect in a soldier returning from war – not in a six-year-old. Eyes that could see me, all of me, even the parts I hide from other people. The boy looks down again, sticks his hands in his pockets and nudges her little sister forward with his shoulder. She moves up the red carpet to my chair. He follows. I pick her up and put her on my lap. She’s light, much lighter than my daughter and definitely four. I know because I ask her and she holds up four fingers – a confirming nod from Big Brother Old Eyes. When I look into her large brown eyes, I am momentarily lost. Sucked in; sucked into a world as only a four-year-old can see it; world full of hope; a world full of wonder; a world where anything is possible; a world that transcends her worn, but clean, second-hand clothes and scuffed shoes. She is sitting on Santa’s lap. And I am Santa. I ask her if she has been a good girl. A nod yes -- and a confirming nod from Big Brother Old Eyes. I ask her if there is something special she wants for Christmas? A small nod. An even smaller voice says, “A baby doll”. Then her hand slowly comes up and points. Across the mall! At the toy store! In the window! At the now gone pyramid of Betsy Wetsy Poops Alot dolls! My heart stops. Fighting back tears, I give her a hug (something we are not supposed to do) and tell her I’ll do my best. I didn’t know what else to say. Returning her to her feet gives me a convenient excuse to rub my eyes. Somewhat shakily I ask her brother if he would like to sit on Santa’s lap. He stares at me, again those eyes, and asks me if I am “the real” Santa? I cannot lie to him -- he would know before I even said it. I tell him that I am “A” real Santa. He thinks about this for a second and then with a nod, as though to say that’s close enough, he climbs into my lap. No “Santa banter” for him. He would see right through that. I ask him if there were something special he would like for Christmas? Before he answers he asks, “Will I get it, if I ask for it”? I get this question a lot. Normally I just “Ho, Ho, Ho” around it and say it depends on whether they’ve been a good boy or girl (that’s what we were taught in Santa school). This time that won’t work. To the outside world, the scene looks like the typical six-year-old talking to some schlep in a Santa suit. But to him and me it has all the seriousness and tension of the Cuban missile crisis. Cautiously I say I would do my best. He stares into me, looking for an edge, looking for deceit and finds neither. Still staring at me, he says he only wants one thing. He says he wants his little sister to get her baby doll. My heart stops a second time. No use fighting back tears this time. It wouldn’t have mattered. His eyes would have seen the tears whether they were running down Santa’s rosy cheeks or not. Scooching him off my lap, choking out the words, I tell him I have a job for him and ask him to wait. I go to my work locker. I get out the present wrapped in the beautiful metallic red and green paper – with extra ribbons and bows – careful not to crush a single bow. I return and hand him the present. I tell him I need his help. I tell him I know I haven’t always come through. He nods an acknowledgement. I tell him I need him to make sure his sister gets this on Christmas morning. He nods again. He takes the job very seriously. As they turn to go, I hear his sister ask breathlessly, staring at the ribbons and bows, “I wonder what’s in there?” He replies, intentionally loud enough for me to hear, “You heard Santa, you’ll find out on Christmas.” With that he casts a look back over his shoulder to me. His eyes are still old, but his smile is pure six-year-old. When I got home, I couldn’t tell my wife what happened. I couldn’t tell her why I didn’t have the doll I worked so hard to get for my daughter. I told her the store was sold out. I didn’t have an explanation for where the money went. She knew something happened, but she didn’t push it (she’s a great wife). I think she thought I got mugged or something. Instead of a Betsy Wetsy Poops A Lot doll my daughter got a big box of “dress up” clothes that my wife and I bought at Goodwill for about $5.00. You know what? She loved them! Her and her friends played with them for years and years. She wore one of the outfits as a Halloween costume when she was sixteen. I didn’t tell anyone what happened that Christmas for five years – even then I only told my wife and kids. We were all crying when I finished the story. I still get choked up. I’m choked up right now. I’m not sure why I didn’t tell anyone. It seemed important to keep it a secret for some reason. The three of us had made a connection. For those two children, Santa did exist and I was Santa. They were my children, Santa’s children, and I was Santa. For several years, until we moved from Milwaukee, I would look for my children, Santa’s children, whenever I was in the mall. I don’t know if I would have recognized them, but I would like to think so. I don’t know what I would have done if I had seen them. It’s not like they would recognize me without a red suit and beard (I shaved the beard the next day). I now know I will never see them again. I will never know their names. I will never know how they turned out. I will never know if I, as their Santa, had an impact on them. But I want Santa’s children to know, that they had an impact on me, Santa hasn’t forgotten them and he wishes them a Merry Christmas. Posted December 2, 2013 A BIG "Thank You" to Bob & Joanne Bohr for hosting their annual "Tree Lighting Ceremony" to announce the arrival of the Christmas Holiday Season. Everyone was invited and there was plenty of food, drink and friendship. Nice job Bob & Joanne! Santa Is Coming To Water Island! Santa Claus is coming to Water Island! Fresh Fruit and OJ for everyone to enjoy. with your child's name, age and a phone number. Please also let us know if one or both parents are planning on being there. You know, SANTA wants to be prepared. There will be no charge for the breakfast for children 12 years old or younger. Over 12 years old, and adults, will be charged $5 for breakfast. Sponsored by WICA and WISAR. 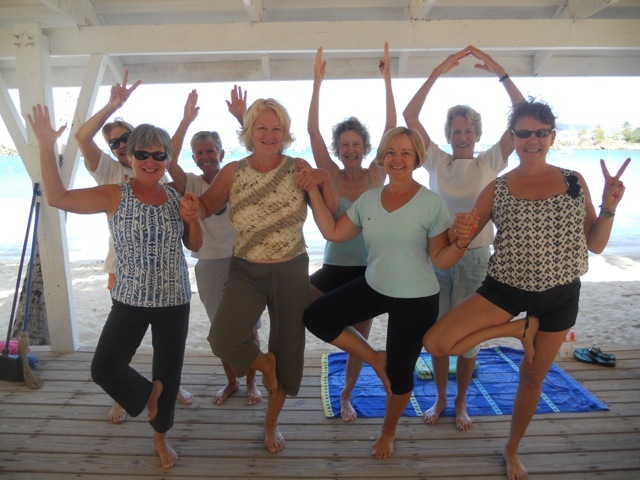 Posted November 28, 2013 The next WICA EC Meeting will be on Sunday, 8:30AM December 8, 2013 at the pavilion on Honeymoon Beach. If you have anything you would like to discuss please come on out and share your thoughts and ideas! These meetings are open to the public. 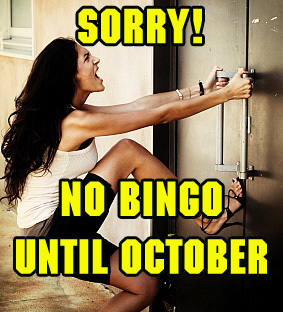 Posted October 23, 2013 Just in time for the upcoming season! 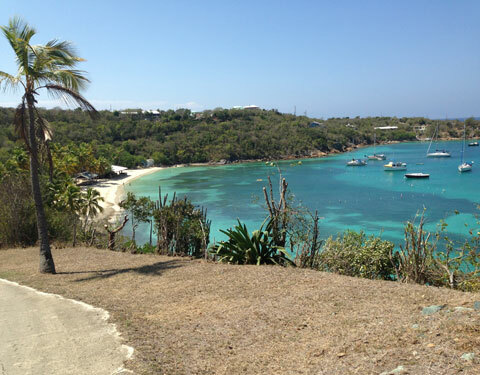 The Water Island Civic Association paid to have "Beachy Clean" come to Honeymoon Beach and clean the beach thoroughly. Yesterday, Tuesday October 22nd, Jim Zimmerman arranged the barge and scheduled Beachy Clean. 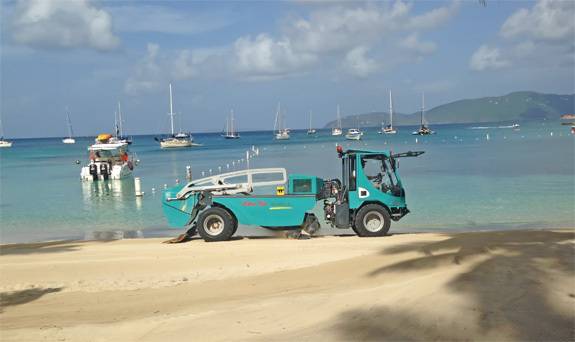 Jim, along with help from his wonderful wife, Diane, and Bob Bohr helped clean the areas of the beach that the Beachy Clean machine was not able to get to. Honeymoon Beach looks fantastic! Thank you Jim, Diane and Bob! 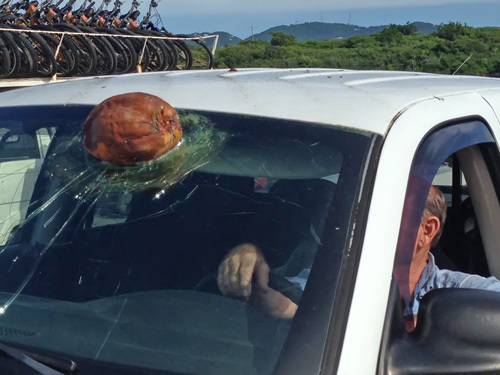 Posted October 6, 2013 Tom McCoy found out the hard way that it is a good idea not to park directly underneath a Coconut Palm tree. Thankfully no one was injured. Community input into development that affects residential communities is an issue that Governor John P. de Jongh Jr. admits is personal to him. 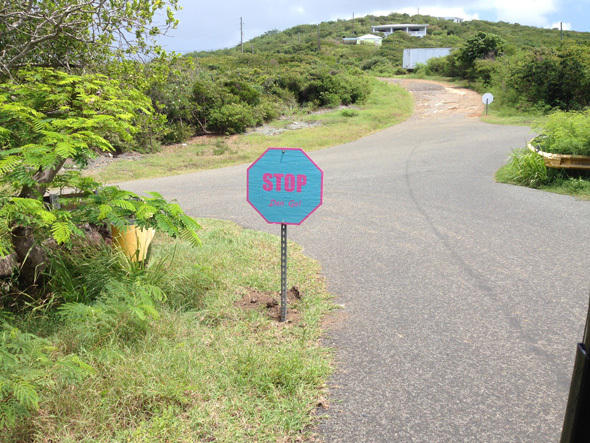 Water Island is no exception to that rule and earlier this month, de Jongh held a meeting with Water Island residents to address management issues and to announce the issuance of an Expression of Interest for potential hotel development on the island. “We believe that a boutique hotel on Water Island not only provides for further economic activity on the island but a first-step on rebranding our offerings through a public-private partnership that leverages government resources. But, success is only possible with community support and reaching the right potential partners. Through the Department of Property and Procurement, we engaged REVPAR International to provide guidance and with this meeting and we gauging the interest and concerns of those that live on Water Island.We want to reinvest in Water Island in a managed way and in a careful way that respects what we already have and at the same time, holds true to the economic development of the territory,” de Jongh said to a group of nearly 100 year-round residents. Tourism Commissioner Beverly Nicholson-Doty expressed her excitement for returning tourism on Water Island to the “uniquely exotic Caribbean and definitely American in-place to go” as remembered by many Virgin Islanders from the 1970’s and 80’s, and expanded on how that development would fill a significant gap in the upscale market in the Virgin Islands. Property and Procurement Commissioner Lynn A. Millin Maduro said that no limit would be placed on development proposals to transform the underdeveloped hotel properties that have sat in disrepair for years into sustainable economic development for the territory. 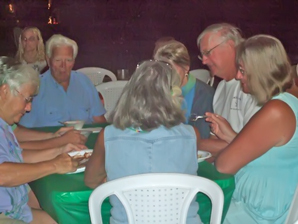 During the community meeting, issues such as beach usage and management, vendor relations and dockage for dinghies were discussed.Government officials pointed to recent investments on Water Island to include a Fire Services pump truck, annual appropriation to Water Island Search and Rescue, overlays on many of the island’s roads and upcoming renovations to the Honeymoon Beach bathroom facilities as described by Sports, Parks and Recreation Commissioner St. Clair N. Williams. Additionally, Tax Assessor Ira Mills reminded residents that Water Island properties could not be conveyed without an OLG # assigned by the Lt. Governor’s office and offered assistance; and Adrianne Williams, Executive Director of the Virgin Islands Housing Finance Authority, offered several possible suggestions for developing the 60 acres on Water Island for affordable housing under agency’s management. Also accompanying the governor to answer residents’ questions were Commissioner of Public Works Darryl Smalls and St. Thomas – Water Island Administrator Barbara Petersen. 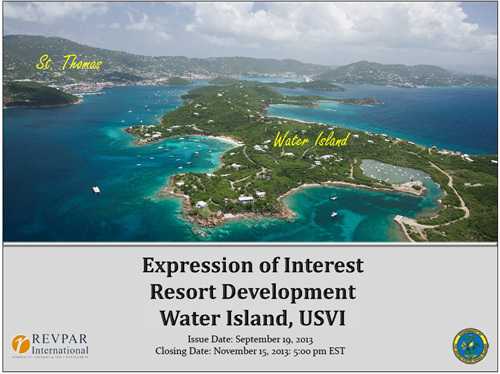 The announcement of an Expression of Interest for the development of a boutique resort on Water Island can be viewed on the governor’s website at www.governordejongh.com/ . Posted September 20, 2013 Just a reminder, the next WICA EC Meeting will be held on Saturday, October 12, 2013, 8:30am at Shaffer Hall on Honeymoon Beach! If you have anything you would like to discuss please come on out and share your thoughts and ideas! These meetings are open to the public. The meeting was held as scheduled with the Governor, St Thomas/Water Island Administrator, Commissioner of Property and Procurement, Commissioner of Public Works, Commissioner of Tourism, Commissioner of Parks and Recreation, Tax Assessor, and Director of Housing Finance Authority in attendance. 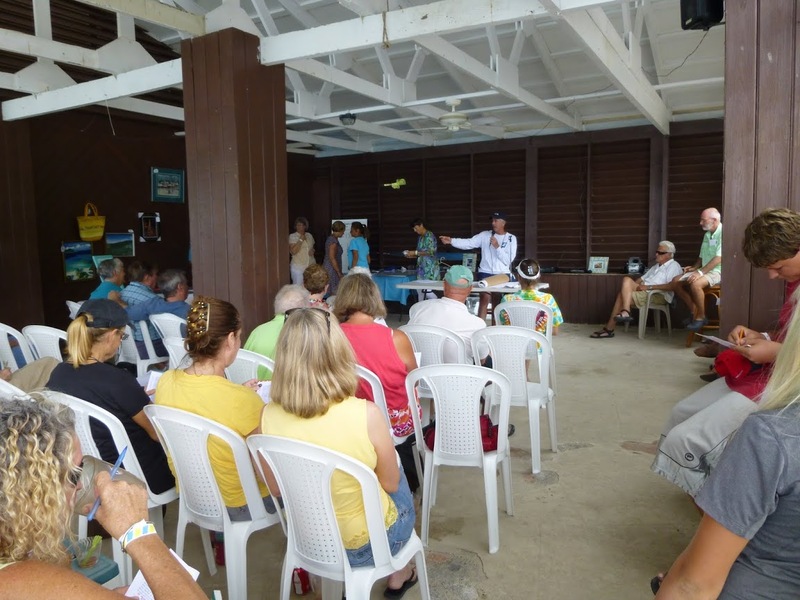 Approximately 75 Water Island residents attended the meeting. The full audio of the meeting will be soon placed on the WICA web site. But here is a snapshot of the essence of the meeting. Hotel: The VI has completed a Feasibility Study of the hotel property and conducted a detailed survey of the property. Now, the Governor is sending out a document called “Expression of Interest” to determine if there is any interest from the hotel community for development of a hotel on Water Island. The “Expression of Interest” will go out next week and has about a 2 month timeframe for interested parties to respond. Once responses are received, the VI will review submissions and determine the next step. WICA will pass on the “Expression of Interest” document on the WICA web site as soon as the Governor formally publishes it. 1/ Looking for a smallish high end hotel which fits in with the environment on island and does not change the character of the island. 2/ A hotel developer has not been selected yet. 3/ The Governor assured the Water Island community that WICA and the residents would have input to any future development and would be involved with the planning as it moves forward. 4/ Infrastructure improvements on island would need to be made to support a hotel. 5/ The Governor said he supports the golf cart community on island and will make decisions soon on formalizing cart use and registration. The Housing Finance Director reminded the residents that 60 acres of the 200 acres on Water Island owned by the VI was transferred to the Housing Finance Authority about 3 years ago. Currently there are no plans for the land. WICA will publish a list of the lots owned by HFA in the near future. The Tax Assessor reminded everyone that any property transactions now requires that the property survey be registered with the land survey records of the Lt Gov Office (Cadastral). 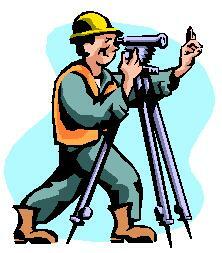 You need to get a surveyor to submit the registration documents and obtain and OLG #. WICA will provide further information as it becomes available. 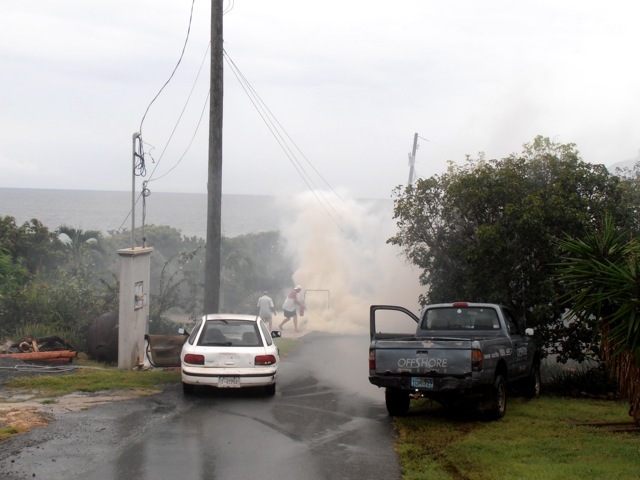 Governor Dejongh has asked WICA to schedule a Town Meeting for all Water Island residents. The purpose of the meeting is to allow the Governor to present his plans and status of activity for a hotel on Water Island. The Town Meeting will be held at 2PM, September 14, 2013 at the Honeymoon Beach pavilion. Please disseminate this information so all Water Islanders are aware. Posted September 6, 2013 Fortunately nobody was injured. 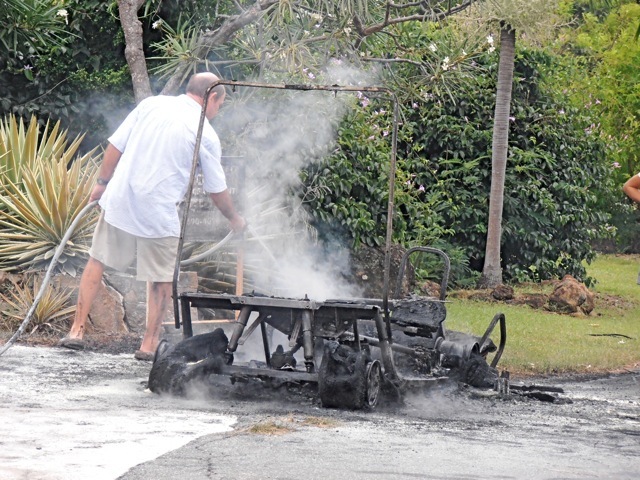 Roland's golf cart broke down and while he was on his way back to get Rachel the golf cart caught fire. A BIG THANKS to WISAR for responding. What do you think, a little tune-up, some wax, and it should be good to go? Posted August 29, 2013 The work being done starting today at Flamingo Marina is part of the territory-wide Fiber Optic Project. We don't know how long the construction crew will be at Flamingo. UPDATE August 31, 2013 - DONE! Safer Now! A BIG "Thank You"
Posted August 11, 2013 Chuck & Linda Gidley have a great idea! Chuck asked we post this here. Linda and I are often asked by new owners on island about the previous residents of Water Island. 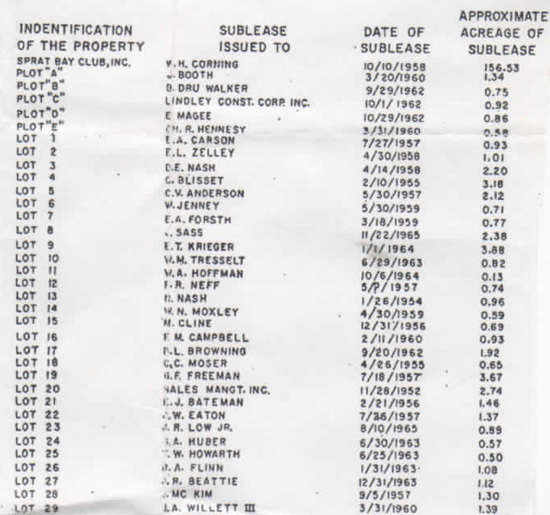 The new owners are really interested in who the original residents were, how did they end up here, what was their background, etc. Linda and I would like to take on the project of collecting all the information we can gather on the residents of the 1950's, 1960's and even the 1970's. We know this will be difficult as so much time has passed. But we figured we would take a shot. To start we are looking to gather information on the early residents: how did they find out about Water Island, when did they build their house, what was the house lot number, was it an old Army facility or new construction, who built the house, what was the background of the resident, any unique stories, of course the resident names, etc. etc. Any stories would be nice. Also, if you happen to have an email of a Pioneer resident relative, please pass that along and we will chase information from the relative. We know this will not be a fully researched effort, but rather a compilation of recollections. Email or mail (Chuck and Linda Gidley, 33 Water Island, St Thomas, VI 00802) any and all information. We will collect and see what we can come up with. Hopefully, we will gets lots of good information that we can put up on a Pioneer web site. More To Do On Honeymoon Beach! 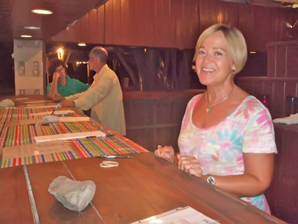 Posted August 5, 2013 Back in April we told you about the new owners of Joe's Beach Bar, Giorgio & Lisa, plans to upgrade the facility. Well, they have and have done a fine job of it. Their new kitchen is now open. Click here for their Opening Menu. So now residents and guests on Water island have two choices when on Honeymoon Beach; Heidi's Honeymoon Grill on the north side of the beach and The Beach Bar & Grill on the south side of the beach. Water Islanders are lucky to have two fine establishments to choose from. Visit them both!! 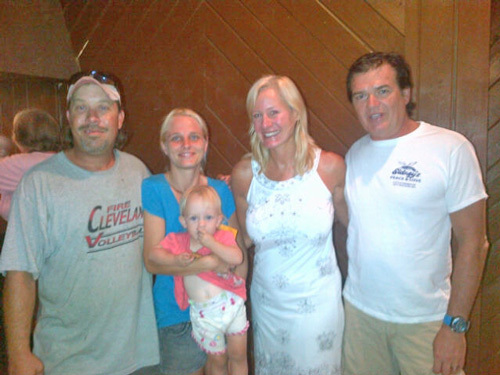 Posted July 20, 2013 The Water island Civic Association would like to officially welcome new "Water Islanders" Pam & Steve Mange! 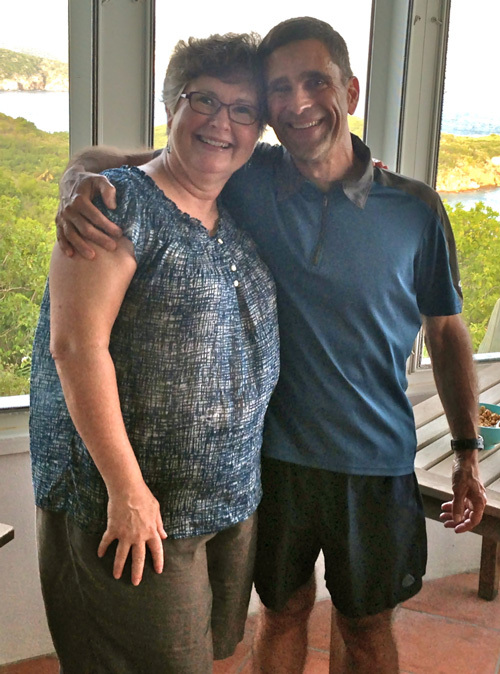 They had a wonderful "Open House" at their new home (the former Coleman house) on Friday, July 19, 2013, and many Water islanders had the great pleasure of meeting a fantastic couple that are "good people". We wish them many happy, fun-filled years on Water island! 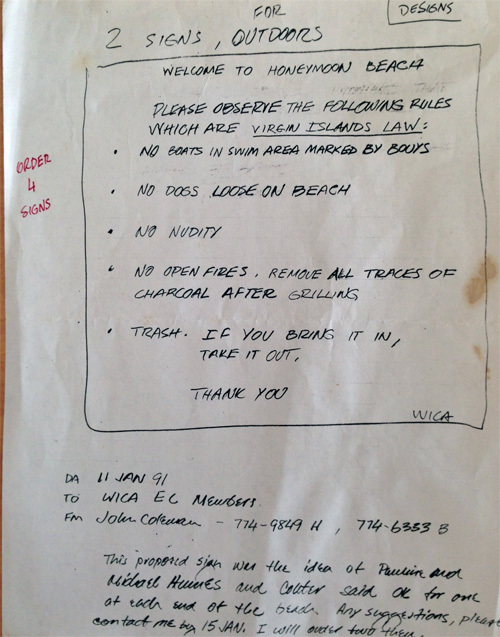 Posted July 16, 2013 Chuck Gidley shared the above 22 year old WICA memo. "The more things change...the more they stay the same!" 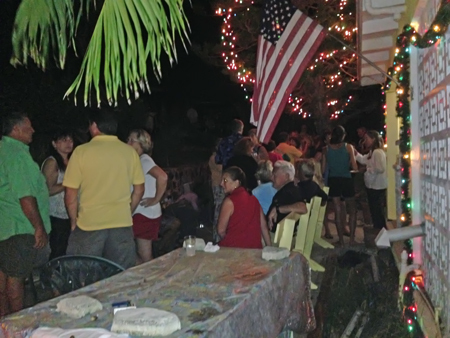 Posted July 5, 2013 The Annual Water Island 4th of July Parade keeps growing and growing. 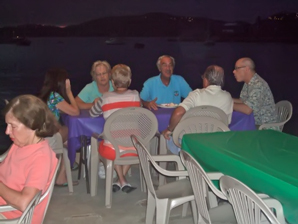 Guests from St. Thomas, residents, boaters, all joined in to celebrate the 4th of July! "I heard A Boom!" UPDATE!!! Here are the before and after pictures of todays big blasts on Water Island. The story is we had a pre World War II live explosive on our property and notified VITEMA Saturday. They responded immediately that day, came over, took pictures and measurements of the artifact. 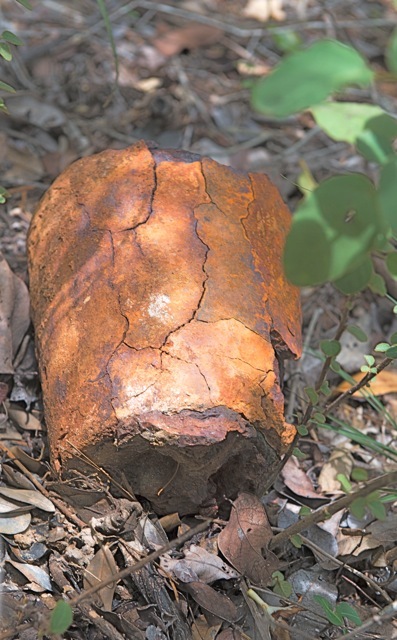 After picking up the team that was brought over by the Coast Guard, they proceeded to inspect and detonate the artifact, which contained a good amount of TNT. It took two blasts to make sure there was noting left and the blasts could be heard all the way over on St. Thomas. Here are the before and after pictures, as you can see there wasn't anything left after the second blast. Posted June 17, 2013 Water Islanders - You may have heard two blasts at about 1230pm today. Jurgen Bitterwolf found one suspicious metal object when they were clearing bush at their house. Jurgen called VITEMA and they came over to examine item. They decided to blow it up. 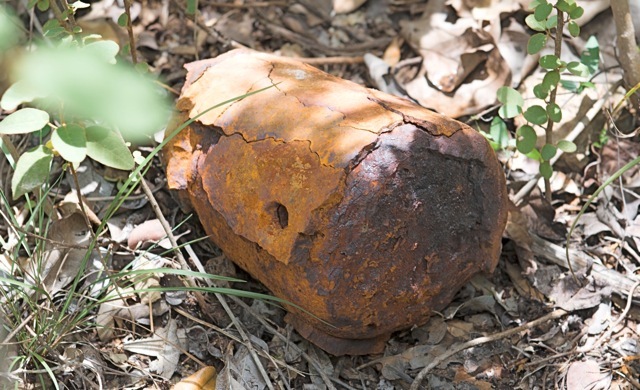 Jurgen reports that VITEMA thinks it was an old WW II device with TNT. Pictures will be on the WICA web site tomorrow. More if I find out anything more. Roadside Crew Is Back On Island! Posted June 3, 2013 The Roadside Cutting Crew is back on Water Island today! They will be here for some time helping to keep Water Island the beautiful paradise that it is. 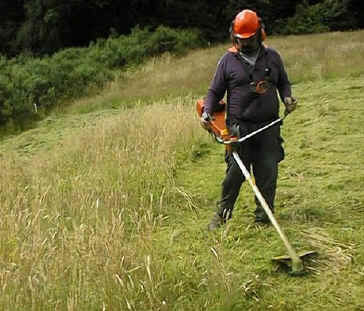 While the roadside cutting crew is here please use caution as you approach the area they are working. Stop and sound your horn and they will gladly stop their weed-wacking while you pass, so as to avoid any flying debris. A friendly smile and wave also lets the workers know how much we appreciate their hard work in helping to keep Water Island beautiful. Thank you Governor deJongh, Water Island Administrator Barbara Petersen, Commissioner Darryl Smalls and DPW Supervisor Sean Brown! Fiber Optic Cable Is Coming Soon! 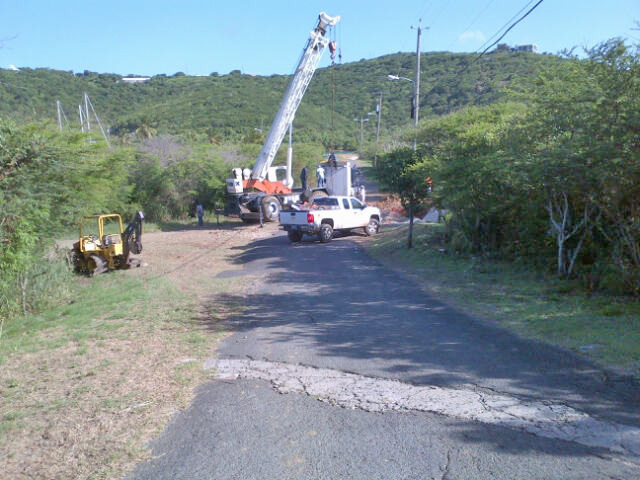 Posted April 25, 2013 The crew has begun the stringing of Fiber Optic Cable on Water Island! We do not have specific information of when they will be completed and when homes will be able to connect to it. But, it is a good sign to see the installation begin! 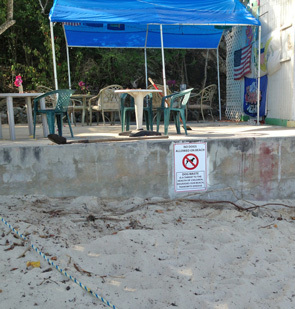 Posted April 25, 2013 After numerous complaints from guests and residents about dogs running free on the beach, the Water Island Civic Association has put up several signs at strategic locations on Honeymoon Beach. A number of dogs have been running up to small children to play and this frightens the children. We have seen the messes that the dogs leave on the beach. This is unhealthy for EVERYONE, not just the small child digging in the sand. 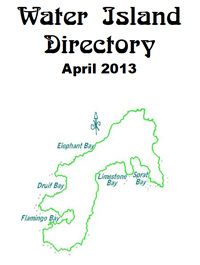 Posted April 20, 2013 The new 2013 Water Island Directory is available for download to Water Island Civic Association Members in the "Members" area of this site. Posted April 20, 2013 During today's Water Island Civic Association meeting, Kathy Butler shared her experience with the Stinger Indoor Household Insect Trap. Because mosquitoes are a problem for all of us, we wanted to share this with everyone. 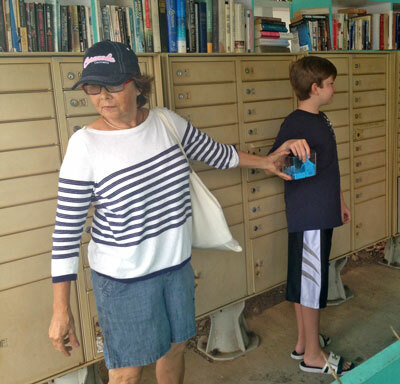 Kathy purchased her unit at Sea Chest, Ace hardware, on St. Thomas for under $40.00. 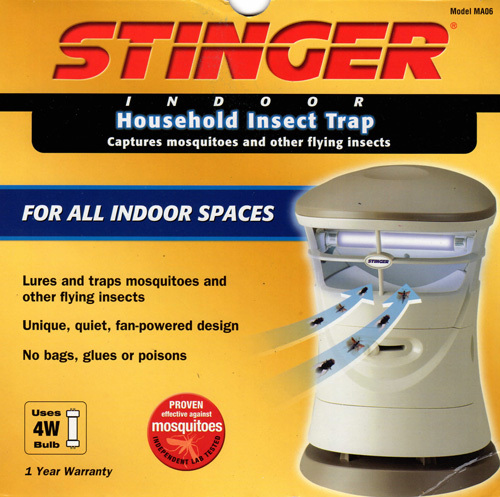 Kathy said that this unit really helps to control the mosquitoes inside her house and recommends this highly! 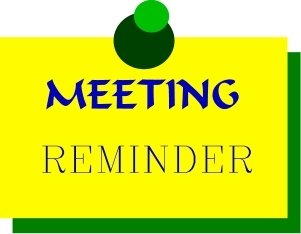 Posted April 16, 2013 The WICA EC Meeting, scheduled for this Saturday, April 20th, 2013 at 8:30AM will be held at the Firehouse instead of Honeymoon Beach, as previously stated. 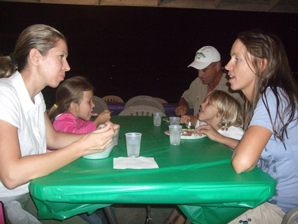 A last minute rental of the pavilion by a camping group is the reason for the change of location. Posted April 13, 2013 Several days ago it became official. Joe & Melissa Harris have sold Joe's Beach Bar to Lisa & Giorgio Bertrand. Joe & Melissa & Family are moving to Florida this coming week for a new adventure. We welcome Lisa & Giorgio and wish them well in their new venture. Stop by and welcome them! We wish both couples much success! 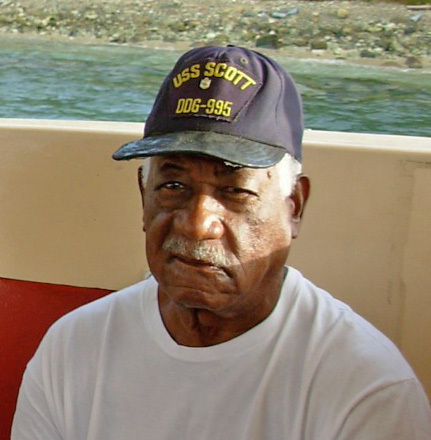 Posted April 8, 2013 Alex Donovan, a long time resident and friend of Water Island passed away this past weekend after a long illness. His beautiful wife, Ester, passed away only a week or so ago. Funeral services for Alex Donovan will be held on Monday, April 15 at the Davis Funeral Home on St. Thomas (near the Western Cemetery) with a viewing at 9:00 a.m. and service at 10:00 a.m.
Interment will follow in Smith Bay at the Eastern Cemetery. Friends will gather afterwards at Betsy’s in Frenchtown. Friends are invited to send messages or photos for the memorial book by Thursday via email to Alex’s daughter, Rose Harris, at: rharris5086@yahoo.com. The recent passing of several individuals, with a connection to Water Island, brings back fond memories of living on Water Island. 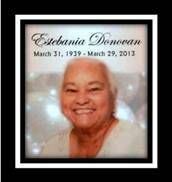 Esther Donovan passed away at home in St Thomas on March 31, 2013. She married Alexander Donovan on September 6, 1960 and they have a daughter Rose Marie Harris. A “Home Going” service was held on April 8, 2013 at Asamblea Cristiana el Oasis on St Thomas. Posted April 3, 2013 A "Handicap Parking" spot has been designated at the ferry dock. This is in response to several residents experiencing great difficulty walking and other medical problems. We are just trying to make it a little easier for them. We have no enforcement powers so if someone that is not handicap parks in this spot there is nothing we can do. It is up to all residents and visitors to be courteous and save this one parking spot for those residents having difficulty. Posted March 28, 2013 The drawing for the two, round trip Seaborne Airline tickets from St. Thomas to either St. Croix or Puerto Rico, will be held at 10:45AM on Friday, March 29th at the Mail Room. Tickets are $10.00 each and will be available up until the drawing! Come on down! YOU could be the lucky winner! 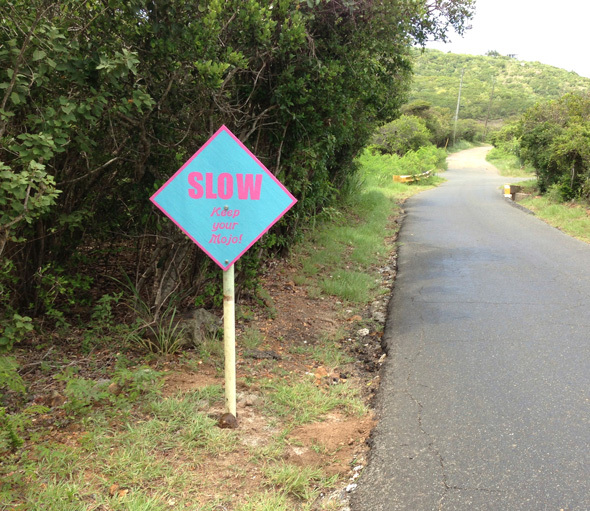 Posted March 25, 2013 The Roadside Crew did a fantastic job helping to make Water Island even more beautiful. 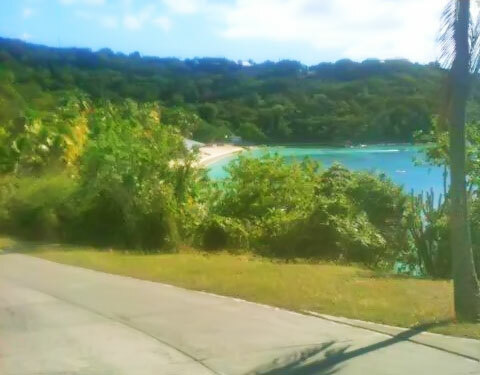 The view from the top of the Beach Road had become overgrown and obstructed the view of Honeymoon Beach. This truly is a "photo spot" now! 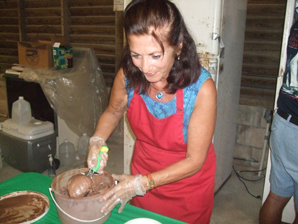 Posted March 22, 2013 The recent Water Island Civic Association Ice Cream Social was fantastic! You just cannot beat the combination; Honeymoon Beach, talking with neighbors and friends, AND ICE CREAM!!! Served = 8 Single Dip dishes of ice cream, 11 Double Dips dishes of ice cream, 25 Sundaes, 25 Banana Splits, 5 Apple Pie ala Modes, and 22 Brownie Sundaes! 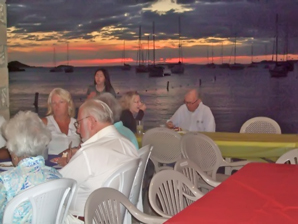 Water Island Civic Association Raffle! Posted March 15, 2013 Seaborne Airlines has donated two, roundtrip tickets from St. Thomas to either St. Croix or San Juan Puerto Rico, to the Water Island Civic Association. This is over a $300 value!! The winning ticket will be drawn and announced on March 29, 2013. 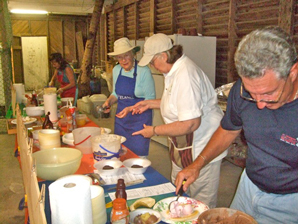 All proceeds benefit the Water Island Civic Association. Hurry! You could get the "Golden Ticket"!! WICA Community Ice Cream Social! Posted March 7, 2013 Hurry, Hurry, Hurry! 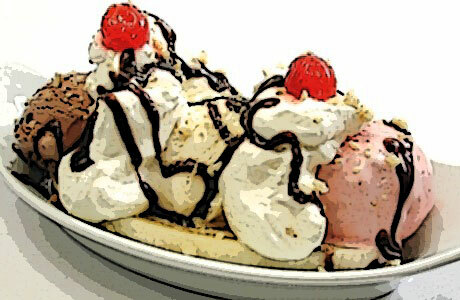 Step right up and order a delicious, scrumptious, Banana Split, Apple Pie Ala Mode, Brownie Sundaes and dips of ice cream!! The Water Island Civic Association is sponsoring this great community get-together that always is a welcome event! 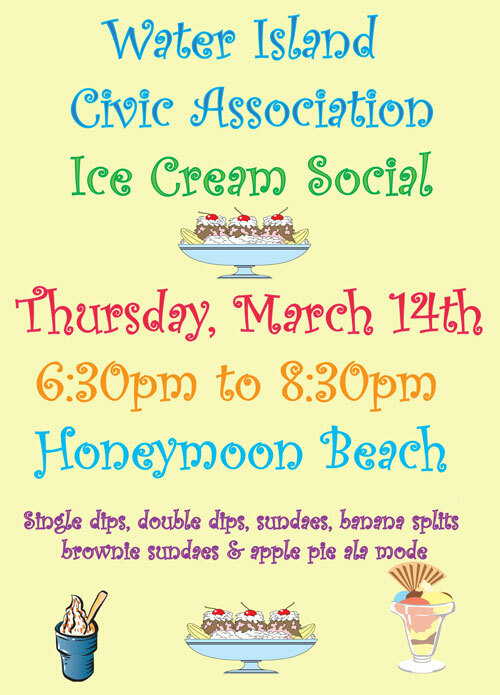 Come on down Thursday, March 14th 6:30pm to 8:30pm at Shaffer Hall Pavilion on Honeymoon Beach and enjoy the fantastic ice cream creations! If you would like to help at this event please contact Marion at 777-4257. P.S. For this one night only, there will be no calories in the ice cream treats, so eat as much as you want! Posted March 5, 2013 Over the past several weeks residents and guests might have seen a surveying crew on Island for a couple of days. The surveying crew is here to accurately set the bound posts for the old hotel property. About 5 years ago, and again in his January 2013 State of the Territory Address, Governor De jongh had said he would like to encourage a small hotel to lease the old hotel property, which is now owned by the Virgin Islands Government. The surveying is being done so that the Government can accurately present the property with the proper boundaries and try to market the property. "On Water Island, we are doing a feasibility study on a possible boutique resort to grow that island’s economic contribution to the territory as we seek to further diversify our tourism product." As of now there has been no offers from any entity. 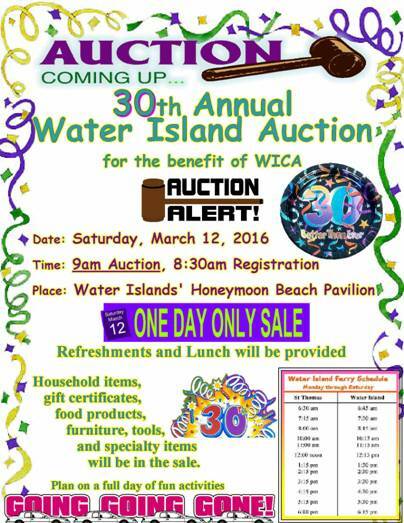 Posted February 19, 2013 The 27th Annual Water Island Auction held this past Saturday was a huge success! So many residents, visitors, and folks from St. Thomas came out to enjoy the day on Honeymoon Beach. The array of items to sell was varied so there was really something for everyone. Missy Petit did a FANTASTIC job of organizing this year's event! Many thanks also go out to all of the auction staff, whether helping with collecting items for sale, printing up the flyers, helping set up and clean up and of course tending to the food and bar, everyone pitched in and made the day go smoothly. Our auctioneer Lee Shaffer did an excellent job with the help of fellow auctioneer Dennis Murphy. Thanks to them both for helping make the most of the day. Special Note!!! There will be several items that were not included in the Auction put up for sale on the Water Island Trader Page. Check it out! Click HERE to see a great gallery of photos from the day provided by Tom & Barbara Archibald. Posted February 13, 2013 Several residents have recently made very generous contributions to Water Island Search & Rescue. We would like to acknowledge; Dana Strong, made a donation for WISAR putting out the fire on the pole by her house, Beth and Tara Stewart (John and Jackie’s daughter) for WISAR assisting in a transport, and Mr and Mrs D Sawyer in memory of Mary Coe. Please consider donating to WISAR on a regular basis. We depend on these volunteers to assist us in all fire and medical emergencies. They help keep Water Island a much safer community. Posted February 11, 2013 The 2013 Annual Water Island Civic Association Auction is almost here!! Come out this Saturday, February 16th and discover the treasures that have been buried and forgotten about on Water island! There will also be lots of new things available that you can get at fantastic prices. As always, food & refreshments will be served and a great time will be had by all! 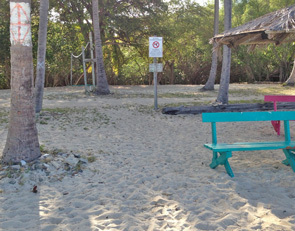 Posted February 7, 2013 On Saturday, February 2nd, 2013 an intrepid group of volunteers helped to give back to the island by repairing, sanding and repainting the benches that the Water Island Civic Association had placed at Honeymoon Beach several years ago. A BIG "Thank You" goes out to Mary Dunakey, Bob Bohr, Joe Worts, Jim Zimmerman, Diane Zimmerman, Christine Black, John Black, Mercy Blosser, Steve Arnold and Chris Carlin! 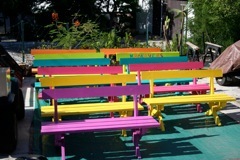 These benches are used on a daily basis by all of the tourists and visitors to Honeymoon Beach. They add a real "Island Flair" for all guests! Posted January 25, 2013 Well, it is that time of year again! As we have all seen, the parking lot at the ferry dock gets completely packed at times. 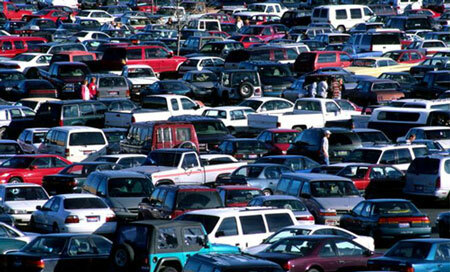 Finding a place to park can become a real challenge. If you have a vehicle that is disabled or that you haven't driven for awhile, please remove it from the parking lot and put it on your property. This will help free up much needed parking spaces. 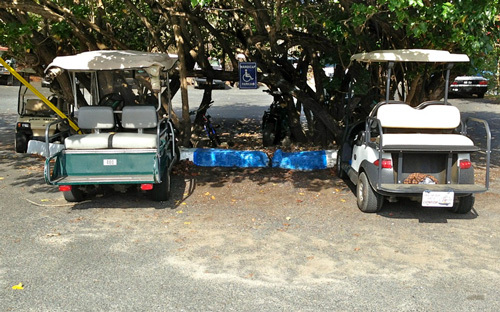 Please, if you are leaving island for more than a day or two, try to avoid leaving your car / golf cart in the lot. If asked, almost anyone will be glad to give you a ride to the ferry dock when leaving and be glad to pick you up when you return. Also, PLEASE DO NOT PARK in front of the planters at the end of the dock. Several people have thought this was a legitimate parking area but it is not. People going to and coming off the ferry with groceries and other purchases find it extremely difficult to navigate around any vehicles parked at the end of the dock. Thank you for giving us the opportunity to help “give back” to Water Island. 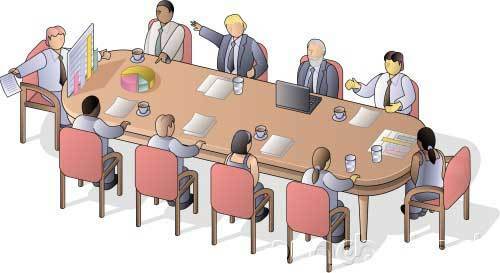 The 2013 Executive Committee of the Water Island Civic Association will work hard for you this year. If you have any suggestions or ideas on how we can make things better for the residents and visitors to Water island please let us know. It would be very helpful if you do suggest something, that you have a solution as well. Just a reminder to all. The Water Island Civic Association does not, and will not, become involved in disputes between neighbors. We would suggest that you speak directly with your neighbor about your concern. This includes a neighbor letting their dog run on the beach, a parent letting their underage child drive a golf cart, land use disputes, and so on. If you cannot come to a resolution with your neighbor then your next step is to contact the Virgin Islands Government Agency that would cover your complaint. We have included a link on the WICA website for the USVI Government. You can find all the contact information you need there. Because of the efforts of the current EC and past EC boards, our roads are in great shape, our weekly trash pick-up runs like clockwork, our roadsides and beach area are being cleaned and trimmed, our Water island Administrator, Barbara Peterson, listens to our concerns and helps when help is needed, we have good relationships with the various Department Commissioners of the Virgin Islands Government. There will be a number of “Volunteer Opportunity” projects this year and we hope that you will also “give back” a little of your time and effort to help keep Water Island the paradise that it is. Annual WICA Meeting Short Note! 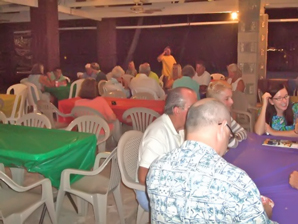 Posted January 20, 2013 The Water Island Civic Association held their Annual Meeting at Shaffer Hall on Honeymoon Beach yesterday and it was a well attended event with participation by all. The 2013 Executive Committee took office, many positive suggestions were made by residents on how we can improve the quality of life on Water Island and a lot of residents volunteered to serve on committees! The new WICA President, Jim Wilkinson, asked for a volunteer to assume the duties of Secretary of the 2013 EC from Joanne Bohr. Jim asked for this because, as we all know, Joanne has worked tirelessly for WICA for many years and Jim felt she deserved a well earned break from an additional WICA duty. Joanne had indicated she was ready and willing to assume the duties of Secretary but would not mind if another EC member took the role. Joe Worts graciously accepted the position of Secretary for the 2013 EC. Joanne will assume her role as a member of the EC and Chairperson of the V.I. Government Liaison Committee. We will be posting a more in-depth report about the meeting in the near future. Posted January 19, 2013 YOUR help is needed. 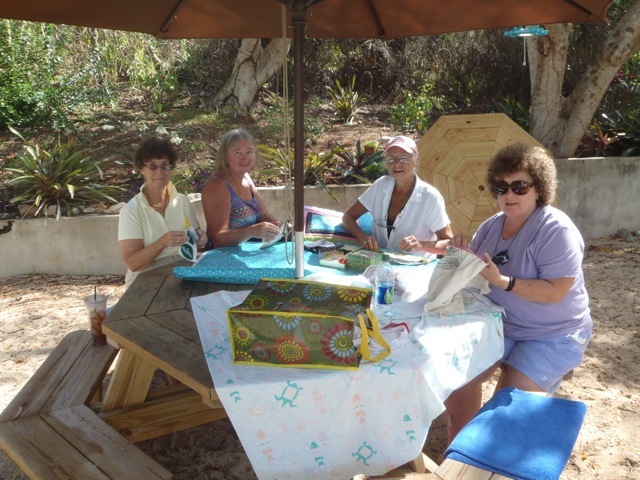 There is a work/play party scheduled for 9AM, Saturday,February 2nd, 2013 at the outside pavilion on Honeymoon Beach. We will be repairing & refinishing the beautiful beach benches that WICA made (actually Bob Bohr & Mary Dunakey). Please come on down and lend a hand. Refreshments will be available! Posted January 19, 2013 If you have a Medical Emergency or Fire Emergency please call Water Island Search and Rescue, WISAR, at 340-642-5660. The phone is answered 24/7! Our thanks to our intrepid WISAR volunteer fire brigade! 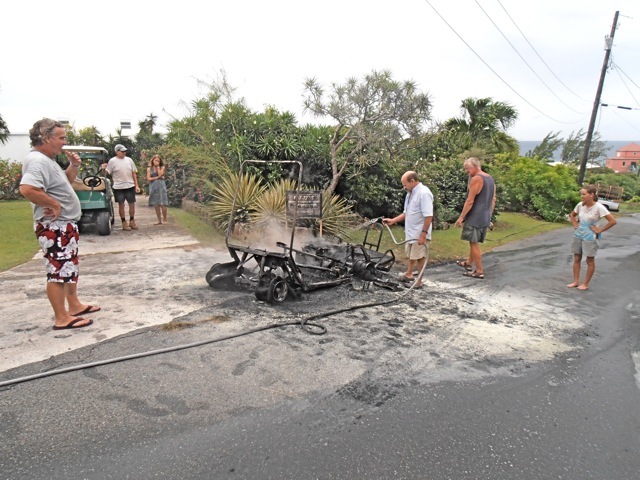 On the evening of December 30, 2012, the utility pole in front of our houses on "Turtle Top Hill" erupted in flames. 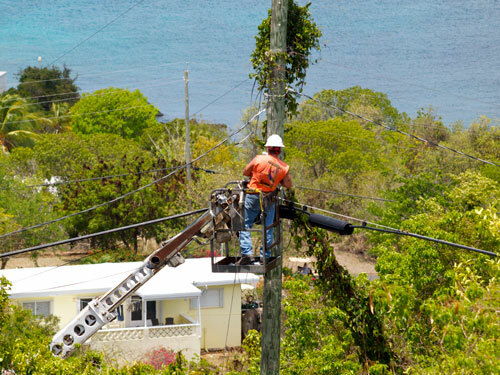 We are very grateful for the expertise of Tom McCoy and his ability to evaluate the situation & co-ordinate with WAPA. Our thanks also to Bob Bohr and Brian Keiger for their excellence! Find out what WICA has done and what the plans are for 2013. It is your community...get involved!